Don’t miss this unique opportunity to have a memorable and authentic Turkey experience with our Marmaris Turkish Bath during you holiday in Turkey. 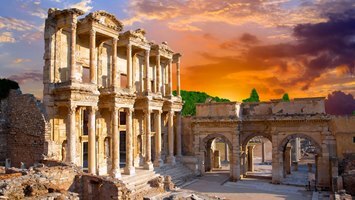 If you are spending your vacation in Marmaris, and you want to have as authentic Turkish vacation as possible, then paying a visit to a Marmaris Turkish Bath is mandatory. One day off of your busy itinerary and hectic schedule will do miracles for your mental and physical health. Our Marmaris Turkish Bath starts with a free pick-up from your hotel, followed by a short drive to our bath in Marmaris. Once we arrive at our bath, you will be taken to the dressing room and locker area first. You will be given your own locker and a key on a wristband which you can carry with you. You can store your clothes and personal items there. One of the members of the polite and helpful staff will also provide you with one large ‘’peştamal’’, or a traditional white towel, so you can wrap your body in it. Afterwards, you will walk into the hot bath area lined with marble-sitting, to have your first sauna treatment for the day. Sauna room is designed to keep the air humid and hot, in order to open your skin pores and cleans them. Next you will be subjected to a rejuvenating scrub, which will help benefit your skin cellular level. After this amazing scrub, you will get a smooth, foam massage, as well as the soothing aromatherapy-oil massage done by an experienced professional. In order to make you feel more comfortable Turkish baths offer the services of both male and female masseuses. Once your treatment ends, you can move to the cooling room, where you will rest for a while. All children under the age of 7 have a free entry available, and children between the ages of 7 and 12 are charged half a price of a refreshing Turkish bath experience. Please nothe that the kids 12 and under 12 years old won’t have oil massage, as their muscular tissue and bone structure is not strong enough. You can try Marmaris Turkish Bath to have an authentic experience with the pleasure of being pampered and completely relaxed. Once our Marmaris Turkish Bath is over, our driver will pick you up and take you back to your hotel. Oil massage is not applied to children under 12 years old. You may like to take a look at our Marmaris V.I.P Turkish Bath package. Our Marmaris Turkish Bath is an Any Time Tour. So you will be able to choose the time that is most convenient for you. On the tour day, our driver will be waiting for you in front of your hotels on the time that you choose. You will be at the take off location after a short drive. Your privacy and safety of your belongings are among our top concerns, and that is why we have arranged for you to have your personal lockers and safety boxes, as well as comfortable changing rooms. All of these amenities are at your disposal without any extra charge. First among our numerous treatments is the sauna treatment. You will get to spend 10 to 15 minutes sweating in the sauna, in order to get your skin pores to open and prepare for the treatments ahead. 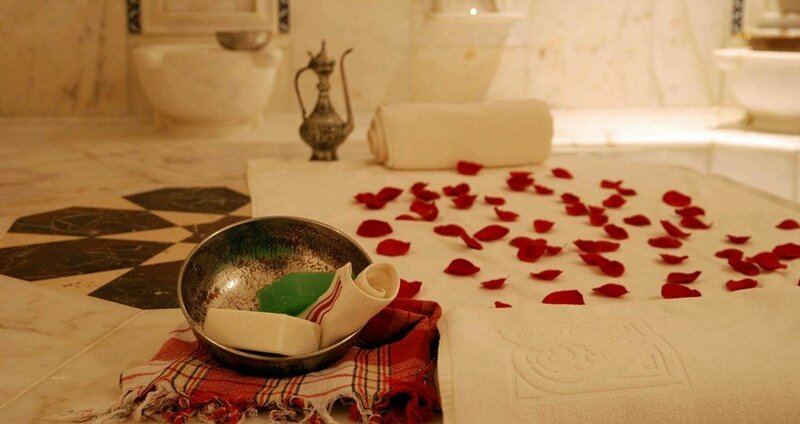 The Scrub Massage is one of the most popular treatments in Turkish hammams. This massage is performed by a skilled professional wearing special silk gloves, which are used to gently scrub off the dirt and dead epithelia off your skin. This treatment is also very enjoyable, as it will get your blood circulation going. Foam Massage is the most relaxing treatment that Turkish hammam has to offer. It starts with a full-body foam and soap cover up. This is followed by a gentle head-to-toe massage. The main idea behind this treatment is to provide you with both physical and spiritual relaxation. Oil Massage is essential if you want to have a complete hammam experience. It is done by the hands of our experienced masseurs, and it has numerous purposes, some of which are to relieve pain, ease muscle aches, improve blood circulation and more. During this massage our experts use some special aroma oils, which will help your skin cleans and rejuvenate. This lovely massage last for approximately 15 minutes, which will be enough time for you to relax and unwind completely. This wonderful tour lasts for about 2 hours, and once your visit is over, our driver will pick you up and take you back to your hotel. Transfers from your hotel and back are included in the tour price.